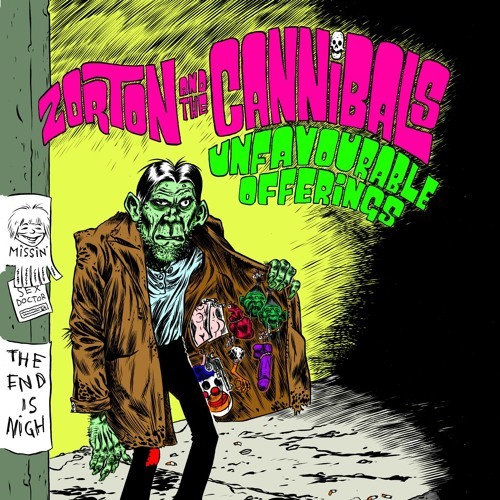 Zorton and The Cannibals are a garage rock band from Toronto who recently released their second album, Unfavourable Offerings. Their unique style blends sweet melodies and rump shaking rhythms with whimsical cannibalism. Zorton and The Cannibals are Zach Worton (Guitars, lead vocals), Ian Sattler (Drums, backing vocals), Nick Ruest (Bass), and Megan Garza (keys, backing vocals).